It's also Skype certified so you can do more things together when you’re apart, with Skype video calling. 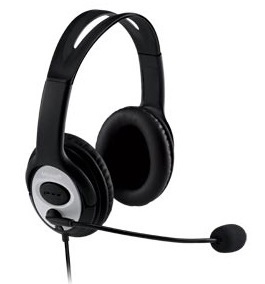 Based on laboratory testing, this Headset has been recommended by Rosetta Stone for usage with Windows-based language learning systems. High-quality audio for phone calls or listening to music. Automatically picks up your voice with remarkable clarity. Do more together, with Skype products from Microsoft. Hear friends and family as if they were there. Intel Pentium III 550 MHz (Intel Pentium 4 1.4 GHz recommended) or higher.